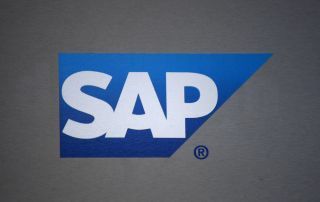 SAP extends its on-premise solutions with new cloud offering. In an effort to help companies optimise performance, elevate production quality and efficiency and ensure worker safety, SAP has announced a new solution called SAP Digital Manufacturing Cloud. The company's new solution draws on its expertise in the Industrial Internet of Things (IIoT), predictive analytics and supply networks to allow manufacturers to deploy Industry 4.0 technologies in the cloud. SAP Digital Manufacturing Cloud complements SAP's manufacturing portfolio of on-premise solutions to serve both large and small manufacturers in discrete and process industries. Customers can choose either the SAP Digital Manufacturing Cloud solution for execution to provide all solutions in the manufacturing cloud portfolio or the SAP Digital Manufacturing Cloud solution for insights which focuses on performance management and predictive quality. SAP Digital Manufacturing Cloud for execution offers businesses an Industry 4.0-enabled shop floor solution that features “lot size one” and paperless production capabilities. By integrating business systems with the shop floor, this solution allows for complete component and material-level visibility for both single and global installations. SAP Digital Manufacturing Cloud for Insights provides centralised, data-driven performance management which enables key stakeholders to achieve best-in-class manufacturing performance and operations. "Manufacturers in the era of Industry 4.0 require solutions that are intelligent, networked and predictive. Our manufacturing cloud solutions help customers take advantage of the Industrial Internet of Things by connecting equipment, people and operations across the extended digital supply chain and tightly integrating manufacturing with business operations." SAP Digital Manufacturing Cloud is expected to be available by the end of Q2 2018.